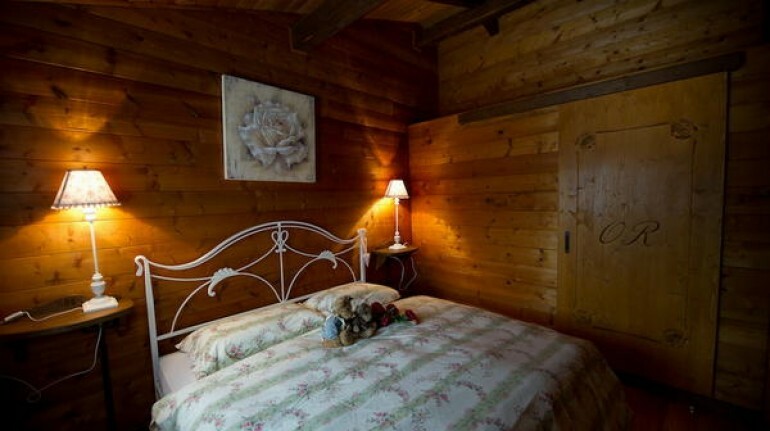 Orse and Rose, it is a village of eight chalets, located in the municipality of Forno di Zoldo, nestled in a beautiful valley in the Park of the Belluno Dolomites. 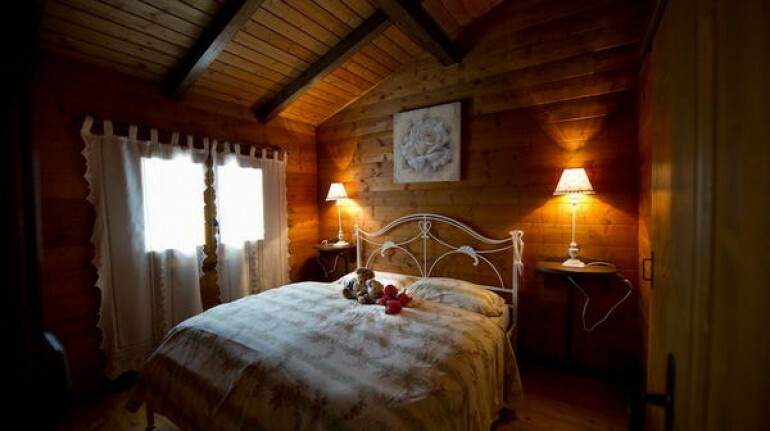 The chalets built in wood and stone, typical buildings of the mountain, were recently restored and renovated to accommodate 3/4 guests. 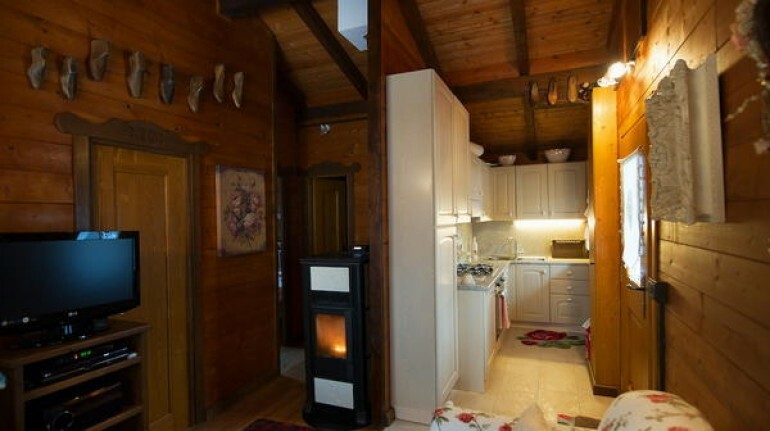 Equipped with kitchen, washing machine and any other comforts will make guests feel at home. 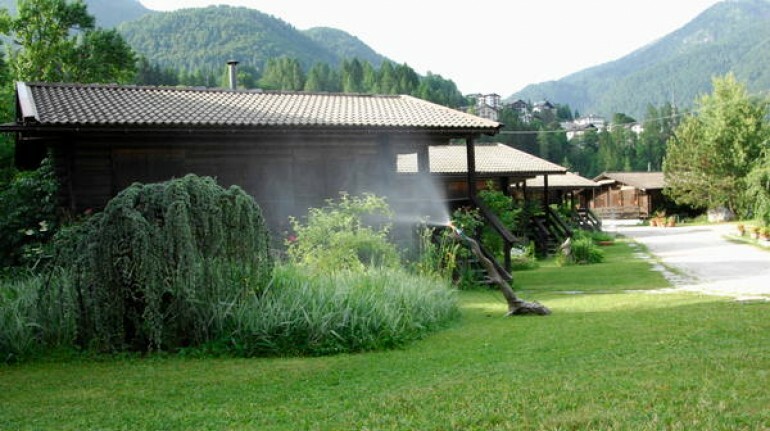 The owner Luisanna Field, who along with his family for decades manages the activities in the tourism sector zoldano has created for its guests decorative elements within individual chalets, veritable "niche stories", so it will be like visiting a museum past that tells the ancient crafts of the Zoldo Valley. In the valley you can make excursions to various degrees of difficulty, the quiet walks, the climbing and climbing ... Then there are the tennis courts in oven and you can go fishing. The population of Pralongo there are also plants and soccer. Not to mention that in the winter is Valzoldana skiing paradise: - cross-country ski trails in the resort of Campo, in Pralongo, Palafavera, Passo Cibiana. - For fans of alpine skiing the wonderful Civetta, always perfectly snowy, will give great emotions to the lovers of the sport. The track "Cristelin" is open throughout the season even at night: from 19.00 to 22.00, for thrilling descents under the stars; - Walks with "snowshoes" for unusual itineraries and snowy woods; - Climbing frozen waterfalls for athletes looking for strong emotions. Guests also dog-sitting service and bed linen included. 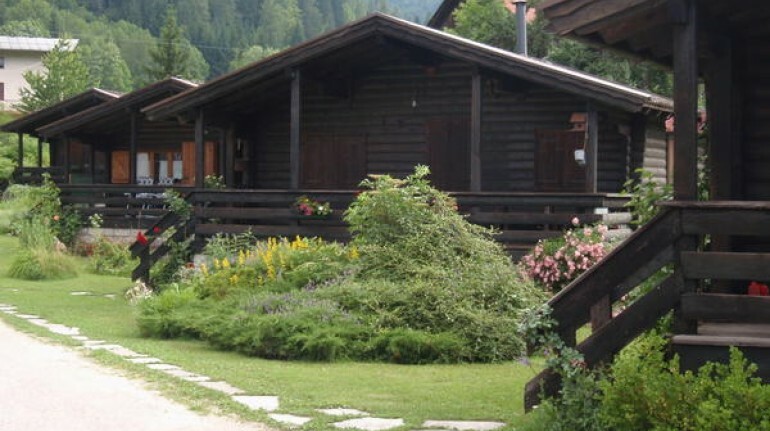 Orse e Rose, è un villaggio di otto chalet, situato nel comune di Forno di Zoldo, incastonato in una magnifica valle, nel Parco delle Dolomiti Bellunesi. 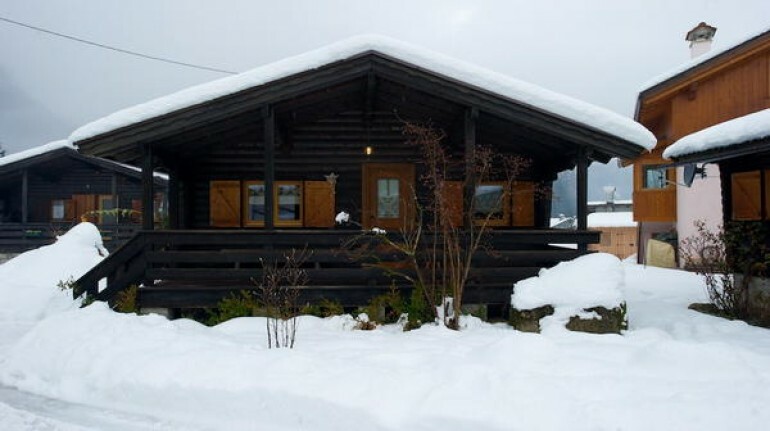 Gli chalet edificati in legno e pietra, tipiche costruzioni di montagna, sono stati completamenti ristrutturati e rinnovati, per accogliere 3/4 ospiti. Dotate di cucina, lavatrice e di qualunque altro confort faranno sentire gli ospiti come a casa propria. 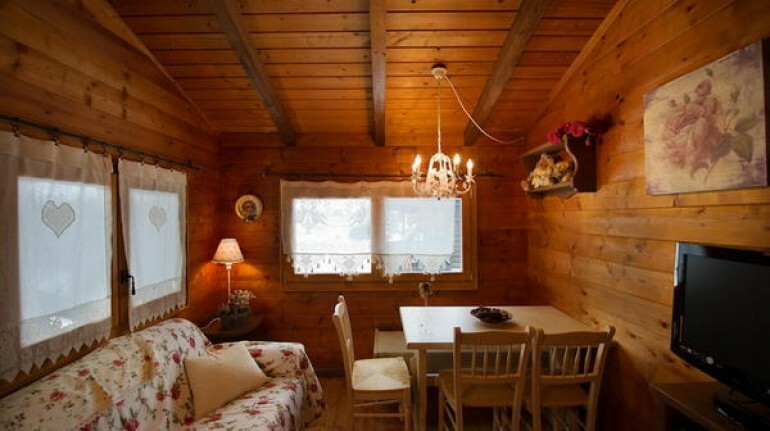 La proprietaria Luisanna Campo, che insieme alla sua famiglia gestisce da decenni l'attività nel settore turistico zoldano ha creato per i suoi ospiti elementi decorativi all'interno dei singoli chalet, vere proprie "nicchie di storie", pertanto sarà come visitare un museo del passato che narra gli antichi mestieri della Val di Zoldo. Nella valle è possibile fare splendide escursioni per vari gradi di difficoltà, delle tranquille passeggiate, alle ferrate ed arrampicate… Vi sono poi i campi da tennis a Forno e si può praticare la pesca sportiva. Nella frazione di Pralongo vi sono inoltre impianti di calcio e calcetto. Senza contare che in inverno la Valzoldana è il paradiso dello sci: - anelli per lo sci di fondo in località Campo, a Pralongo, a Palafavera, al Passo Cibiana. - per gli appassionati dello sci alpino lo splendido Comprensorio del Civetta, sempre perfettamente innevato, saprà regalare grandi emozioni agli amanti di questo sport. La pista "Cristelin" è aperta per tutta la stagione anche di notte: dalle ore 19.00 alle 22.00, per emozionanti discese sotto le stelle; - passeggiate con le "Ciaspe" per itinerari inediti e boschi innevati; - arrampicata su cascate di ghiaccio per gli sportivi in cerca di forti emozioni. A disposizione degli ospiti, inoltre, servizio di dog sitter e biancheria da letto inclusa. 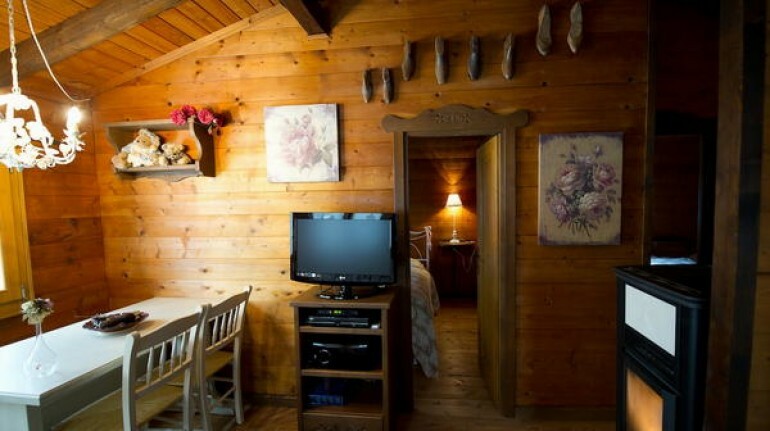 Really nice and lovingly furnished cottage! Very nice hostess! Thank you for the nice stay! We will be back! Wirklich schöne und liebevoll eingerichtete Häuschen! Sehr nette Gastgeberin! Danke für den schönen Aufenthalt! Wir kommen gerne wieder!!! It has been noticed: Energy saving lights. 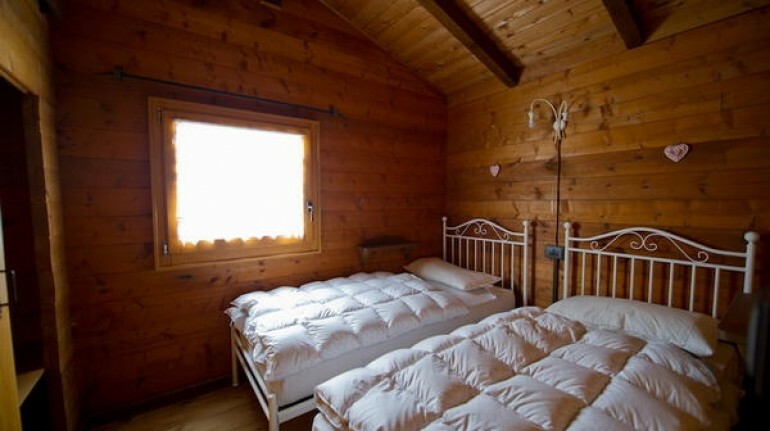 We can highly recommend the Orserose Chalet: Not only the environment with a direct view of Monte Rite, Bosconero and San Sebastiano is beautiful. 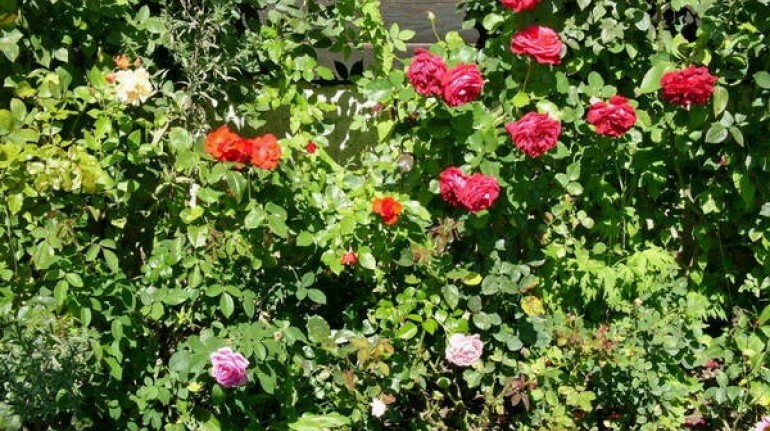 The large garden in which the chalets are located is a single dream: lush flowering roses wherever you look, and other magnificent flowers, trees and shrubs. Luisanna is a born garden architect and gardener. She is also a very interesting conversation partner and fluent in German. 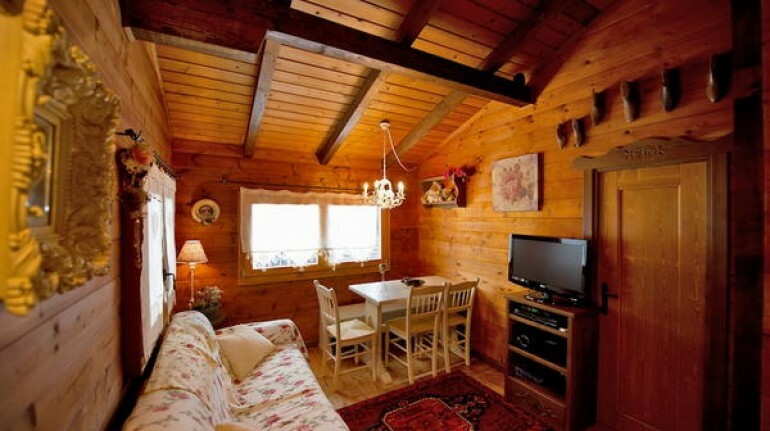 The chalets have been furnished with great attention to detail and renovated very well a few years ago. We turned on the pellet stove in the morning and in the evening, it spread very quickly a warmth. The Val di Zoldo itself is an ideal starting point for great walks of any difficulty (see Rother hiking guide "Dolomites Band 7"). We rarely met people, unlike in the area of ​​Cortina d'Ampezzo. We spent one of our most beautiful hiking holidays here. Again "grazie mille" to Luisanna! 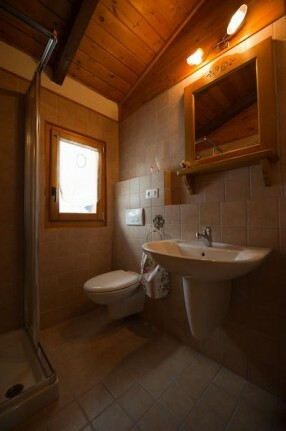 Das Orserose-Chalet können wir nur wärmstens empfehlen: Nicht nur die Umgebung mit direktem Blick auf Monte Rite, Bosconero und San Sebastiano ist wunderschön. 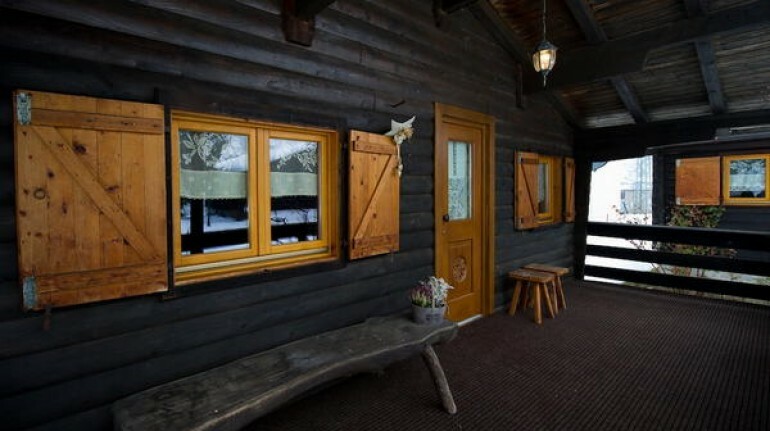 Der große Garten, in dem die Chalets liegen, ist ein einziger Traum: Üppig blühende Rosen, wohin man schaut, und andere prächtige Blumen, Bäume und Sträucher. Luisanna ist eine geborenen Gartenarchitektin und Gärtnerin. Sie ist außerdem eine hochinteressante Gesprächspartnerin und spricht fließend äußerst gepflegt deutsch. 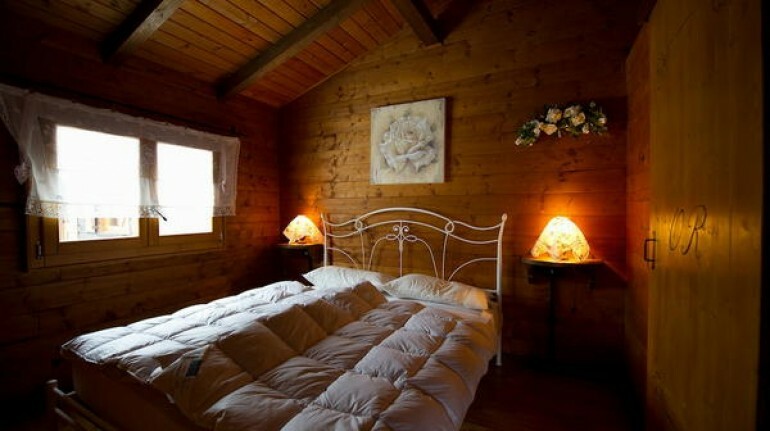 Die Chalets hat sie mit viel Liebe zum Detail eingerichtet und vor einigen Jahren sehr gut renoviert. Wir haben den Pelletofen morgens und abends kurz angemacht, er hat sehr schnell eine wohlige Wärme verbreitet. Das Val di Zoldo selbst ist ein idealer Ausgangspunkt für tolle Wanderungen jeglicher Schwierigkeit (s. Rother Wanderführer „Dolomiten Band 7“). Wir haben nur selten Leute getroffen, ganz anders als in der Gegend von Cortina d’Ampezzo. Wir haben hier einen unserer schönsten Wanderurlaube verbracht. Nochmals „grazie mille“ an Luisanna! Arrived for the first time in this structure, it seemed to be in a world of fairy tales. Enveloped by all these roses and their perfumes. We had a great time. ChaletScarper, very clean and functional. Thank you so much Luisianna and Antonio who, with his suggestions we have made fantastic excursions. To be sure to come back! Arrivati per la prima volta in questa struttura, sembrava di essere in un mondo di fiabe. Avvolti da tutte queste rose e dai loro profumi. Ci siamo trovati benissimo. ChaletScarper, pulitissimo e funzionale. Grazie mille Luisianna e Antonio che, con i suoi suggerimenti abbiamo fatto escursioni fantastiche. It has been noticed: Energy saving lights, More than 80% waste recycling.